Most of the hotels and activity providers that we recommend provide guests with the last layer being winter overalls, boots, gloves, hat/beanie and sometimes even socks. 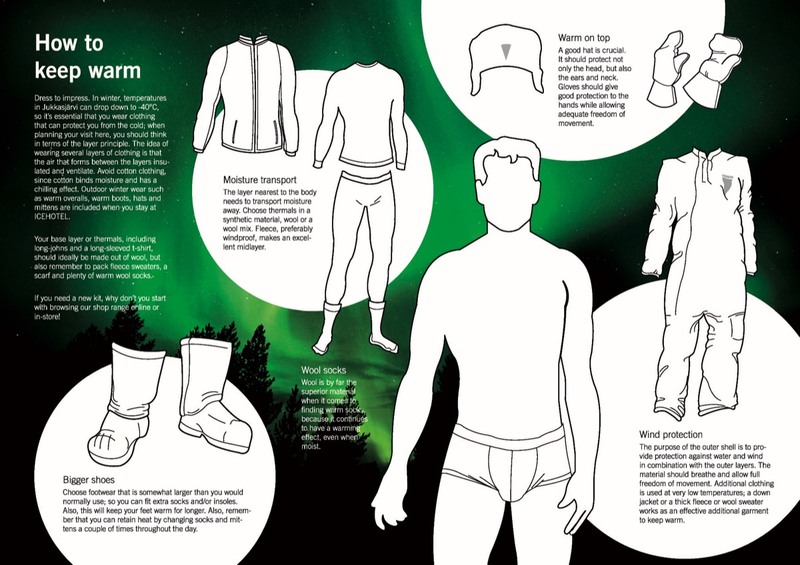 You should bring with you warm wooden underwear (long johns) in one or two pieces as well as fleecy pants and shirt/jacket and several pairs of warm, preferably woollen socks. These items will be useful for the times you are moving around the lodge or travelling and the full winter outer clothing provided by our suppliers is too much. - If you have any questions regarding what to bring in addition to the above please send us an email.